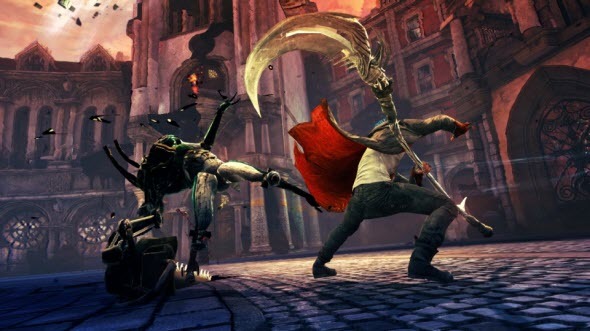 Devil May Cry game series doesn't need to be introduced. This famous slasher from Capcom studio, that originally should be another game in Resident Evil series, is very popular all over the world. But new Devil May Cry is completely another project. 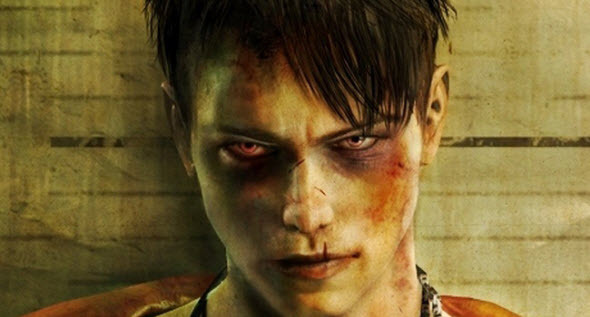 It is a reboot of the original series and is developed by Ninja Theory studio from Great Britain. 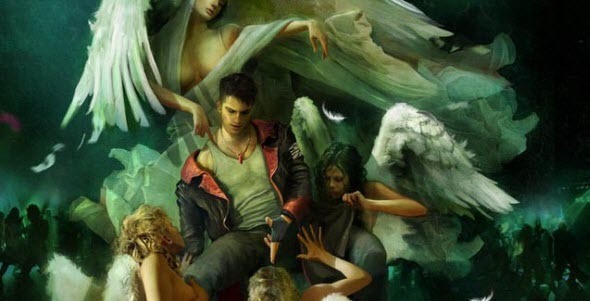 And Devil May Cry for PC is developed by Polish studio QLOC. New DmC has new scenario, new game engine and completely new Dante. Now our beloved hero wears dark blue coat with red lining, grey undershirt, black jeans and high boots. He has short dark hair and likes smoking. The developers were sure, that this character is much more closer to the modern young people, but game's fans were furious about him. But now with new rumors, videos and details about new Devil May Cry it seems to be really cool. The story takes us to the mythical Limbo City, where Dante lives. In the beginning of the game he doesn't know anything about demons, but after a while he meets Kat - strange girl with medium abilities, that can be present in the Limbo City only as a phantom. She tells Dante about demons and The Order organization, and Dante joins the resistance. Now he needs to kill lot of different enemies and also understand his past, that is very mysterious and dark. Just like in the previous games, in new Devil May Cry you will need to fight against demons, and to pass the part of the level, you will have to kill all creatures you meet, because while there is any demon on the screen, your pass is blocked. Also sometimes you will meet special cameras, that also block your way and put you to the demonic version of Limbo City, so you will also need to destroy them. 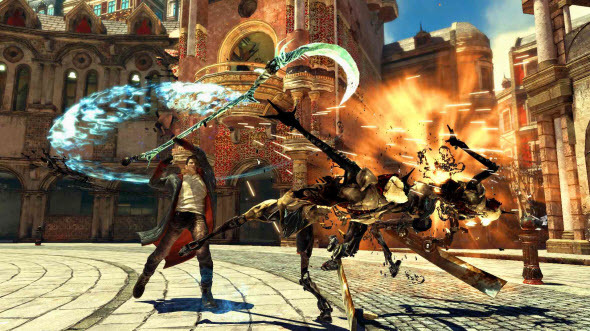 In new Devil May Cry you will use almost the same weapons, that were slightly redesigned. As always the best Dante's helpers are Rebellion sword and two pistols: Ebony and Ivory. Also Dante is able to fight in two additional modes: Angel mode and Devil mode. In Angel mode his sword turns into sort of very fast scythe, and in Devil mode he gets powerful axe. Also there is another one brand-new mode: Devil Trigger. In this mode Dante has white hair, red coat and special demonic power and speed. New Devil May Cry will be released very soon: on the 15-th and 17-th of January and Devil May Cry game for PC is scheduled for 25-th of January. But now we already have several gameplay videos and we'd like to share them with you. Enjoy the videos and don't forget to subscribe to your Facebook and YouTube pages!